Financial difficulties happen, but forbearance can prevent long-term credit damage. A student loan debt can be the catalyst for your education, but it has other benefits as well. Maintaining a timely repayment schedule of your student loan helps you build a positive credit history. If problems arise and you have trouble staying current on your loan, forbearance should help you avoid a hit to your credit. If financial problems hit hard, forbearance is a viable option that could help preserve your credit. Forbearance circumstances include loss of a job, serious health problems or another situation that makes it impossible for you to make your loan payments. 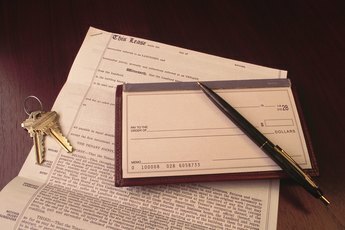 Although you’re not entitled to a forbearance, you can request one from your lender. If you meet specific qualifications, you can have your payments paused for a while. Interest generally continues to accrue during forbearance, however. 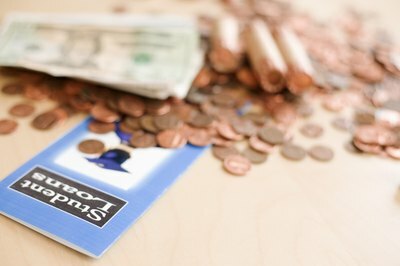 Private student loans often offer forbearance options, subject to the lender's discretion and approval. Individual terms and fees will apply. With a federally subsidized student loan, you can qualify for forbearance if you meet specific criteria. Interest will accrue during forbearance, but the loan servicer won't charge forbearance fees. One of the beauties of forbearance is its lack of negative repercussions for your credit report. Your lender will report the forbearance to the credit bureaus, but the information about the forbearance doesn’t have a negative effect on your credit score. Watch your finances carefully before applying for and receiving a forbearance to make sure you don’t damage your credit score. If a money crunch begins unexpectedly and you miss a payment before forbearance takes effect, your credit score could take a hit. Missing one payment on your loan could result in an 80 to 110 point decrease in your credit score, depending on your initial score. Your overall payment history, including a record of timely or late payments, makes up about 35 percent of your credit score. Forbearance generally lasts six months, but you might be able to extend it for as long as 18 months, if circumstances are extreme. Because interest will continue to accrue during forbearance, your loan total will become larger during this time. Remember that your increasing loan amount could affect your debt-to-income ratio, which should stay below 15 percent. 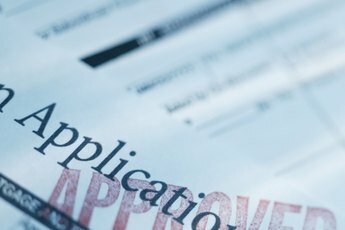 If your loan and your circumstances give you the option, explore loan deferment before requesting forbearance. During deferment, you may get government help with interest if you have a subsidized federal student loan, and this can save you money. CU Student Loans: What Is Student Loan Forbearance? Consumer Finance Protection Bureau: Is Forbearance Available for Private Student Loans? Does Filing Bankruptcy Affect My Ability to Get a Student Loan? What Happens When You Quit College and You Have a Student Loan?